In the past 12 months the ingenuity of engineering and technicians at Reece Innovation has seen the team develop a range of hi-tech products to solve technical challenges facing the utilities sector. Reece Innovation have worked in collaboration with Northumbrian Water to define the major challenges affecting their water and sewer networks. Drawing on their extensive knowledge of technologies from the oil and gas sector, the Reece Innovation team’s state-of-the-art applications have the potential to bring cost and efficiency savings to companies when compared to traditional detection and condition monitoring methods employed in the industry. Among the revolutionary products designed and developed by the team and marketed through Tellus Utilities is ORCA, an acoustic blockage detection system. ORCA is able to detect, pin-point and characterise blockages within both air and fluid-filled pipes and can monitor 400 metres of pipe within minutes. A second product, HYDRAPULSE™, is a unique flusher gate mechanism in four different specifications that controls the flow of effluent to minimise the build-up of fat, oil and grease, silt and other deposits in sewers and storm drains. Following ongoing trials at sites within Northumbrian Water’s network, Mike Madine, Head of Wastewater Networks and Developer Services, said: “The intention for the design of the gate was to enable Northumbrian Water to not only gain cost effective control over certain flows in our sewer networks but to also reduce the ongoing costs of cleaning by more traditional methods such as jetting. 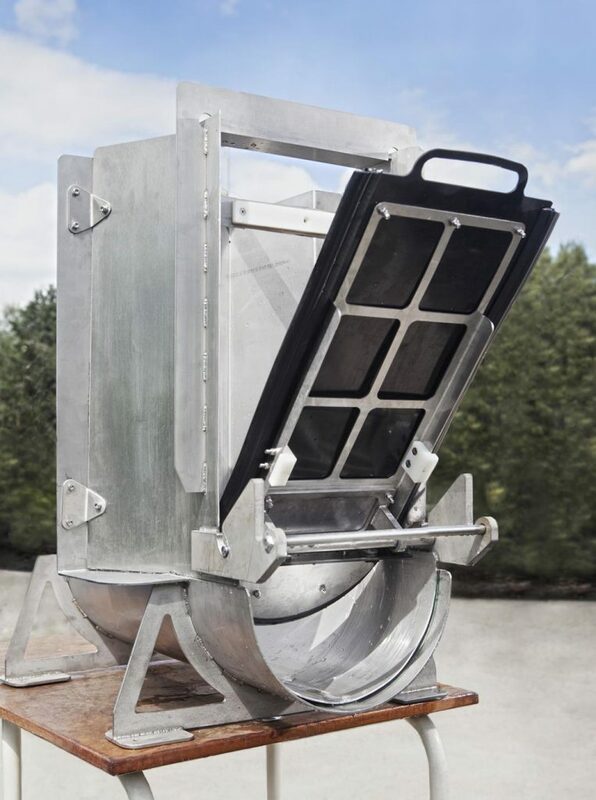 Complimenting HYDRAPULSE™ is the TRAP, a sampling device and sensor platform placed in the sewer manhole chamber that is able to identify the source of high risk items that could cause blockages in sewers such as non flushable wipes and silt. Dr James Martin, Managing Director of Reece Innovation, said: “We understand the technical challenges facing clients in the utilities sector and have the experience and expertise to provide innovative engineering solutions not usually associated with this industry. “We have in-house design and manufacturing expertise to engage in collaborative product design creating exciting new products that bring significant cost and efficiency savings to companies.